When you need a new asphalt driveway or asphalt driveway repair, the professional asphalt driveway contractors at A-1 Asphalt Inc will handle all aspects of your driveway project from start to finish. 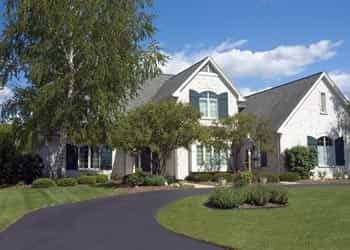 While driveway paving may seem like a simple project, each job can be very different — based on specific variables such as ground materials, surface terrain and the desired grade. Before tackling any driveway paving project, our experts take the time to ensure there is a proper foundation to support your asphalt before we begin any paving work. Our experienced and knowledgeable craftsmen use state-of-the-art tools to test for grade and strength to determine the best options and materials to use to complete your asphalt driveway project right the first time. Your driveway will be with you for many years and will serve as a driving, walking or playing surface for you and your family every day. Ensure that your driveway will be installed properly and last a long time by trusting the reliable professionals at A-1 Asphalt Inc. From new installations to extensions to complex repair and patching projects, our experts will work with you to create a beautiful, long-lasting and functional asphalt driveway surface that will exceed your expectations.